Upon graduation, after many years of study, we understand that you want to get the most out of your clinical training. We also appreciate that the physiotherapy industry generally lacks the ability to provide talented and motivated individuals structured pathways for career progression. 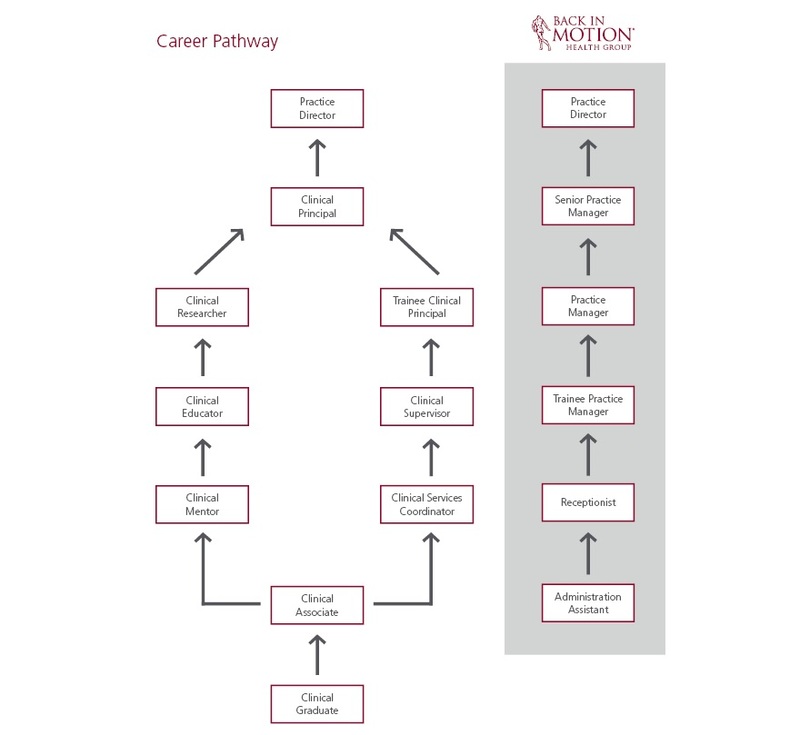 Recognising this, at Back In Motion Health Group we’ve designed a structured career pathway allowing you to get the most out of your physiotherapy education and experience to date. No matter where you are in your career, whether you’re just starting out, fresh from university or have had experience in another area of physiotherapy or private practice, take a look at our career pathways model. Excitingly we invite talented and committed clinical and non-clinical staff the opportunity to explore practice ownership under our model. The Head Start Pathway is one of many ways we make this opportunity accessible to our staff. Below is a simplified career pathway model for both physiotherapists and administration staff. A list of our current available opportunities are available here.